Please note that this item is sold without the grass box. The McGregor 33cm is a compact, cordless rotary lawnmower designed to cut a professional finish on small to medium sized lawns. Cordless power lets you cut anywhere without the danger of cutting the cable. The motor and carbon steel blade combine to effortlessly cut through tough dense grass. 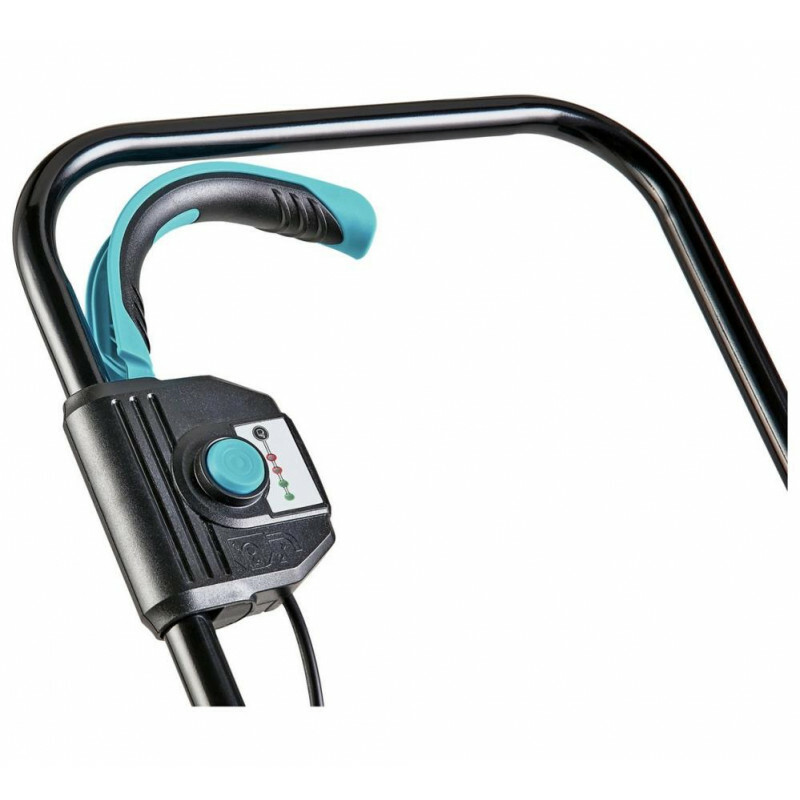 It gives you 5 different cutting heights to suit your lawn with one-handed height adjustment. The 24V battery will give you up to 32 minutes runtime, enough time for most UK lawns. The super-fast 1-hour quick charger reduces downtime while gardening. 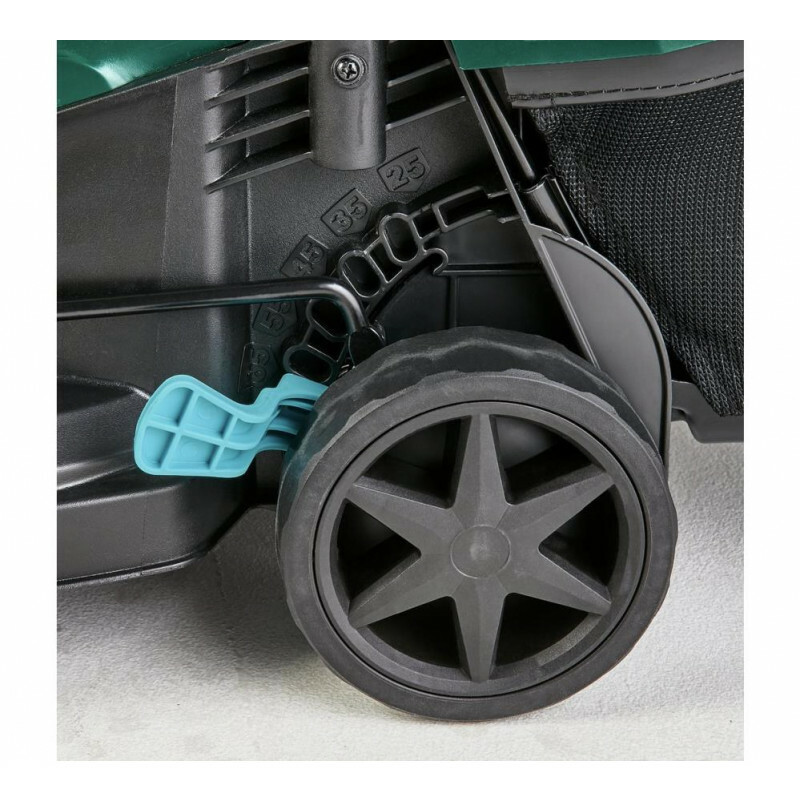 A useful charge indicator on the lawnmower handle makes it easy for you to check the battery level. 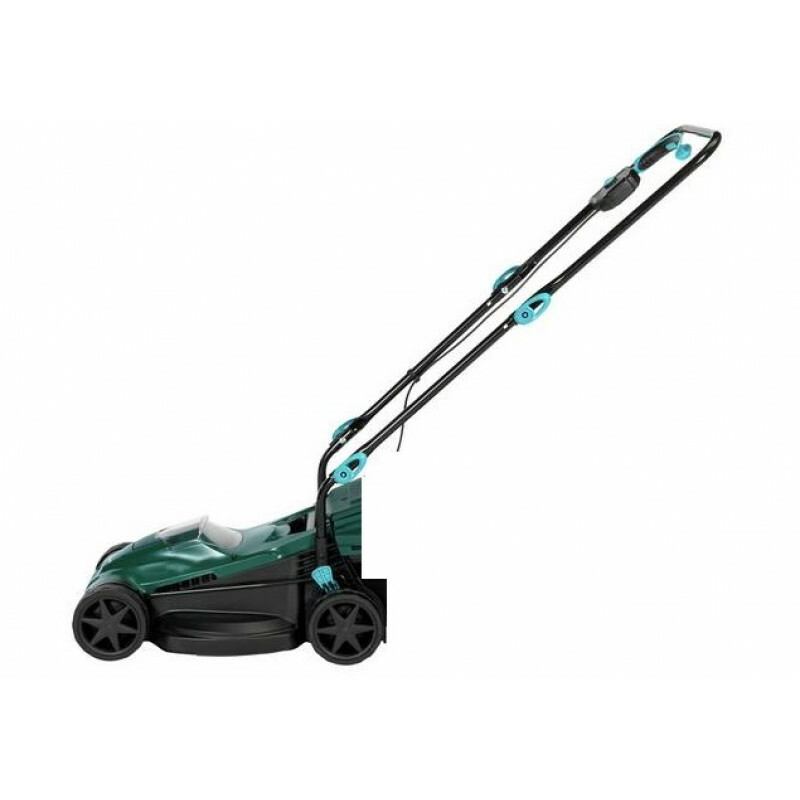 The compact design with folding handles makes storing the mower much easier. Soft grip power handle for improved comfort and grip.